At the beginning of last year, the Members of Congress in the US, Edward J. Markey, stated algorithm trading or high frequency trading clearly corresponds to a high level of risk to the safety and permanence of the capital market in the US and the fact it should be truncated as soon as possible. And he isn’t alone in saying HFT does indeed pose considerable risks to the trading infrastructure. But it is also important to understand the fact not everyone agrees with the analysis made in regards to the potential dangers of high frequency trading. It is true the machines have taken over when you talk about modern trading. 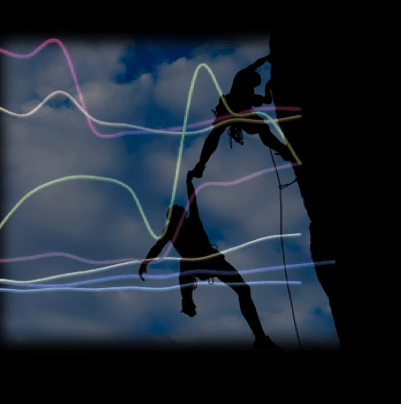 They have taken the place of human specialists or the smart market makers and a majority of the trading quotes, offers and bids which come flowing in today flow in through high frequency trading computers and systems. And it is also true the Flash Crash that occurred back in 2010 is a great example of the dangers posed by high frequency trading when Waddell & Reed incorrectly keyed a trading order which resulted in a terrible market dive. HFTs went scurrying out of the scene as the market fell for a short period of time and there were no bid being placed and there were significantly big price dislocations demonstrated by the 10% market freefall. Despite the fact that several trading companies get to enjoy the high speed benefits of HFT, it has been seen that there has been a considerable drop in profitability using HFT. If you look at the reports from 2011 and 2012, you will see that those years saw considerable drops (7.8 billion shares each day to 6.5 billion shares). The drop was of 17%. Another thing to consider is the fact HFT is all about speed and co-location. HFT providers such as Citadel, Virtu Financial and GETCO have to all constantly bring in new technology and upgrade processing units to match each other’s speed. According to a report, it was revealed GETCO spent a total of $37 million on upgrades. 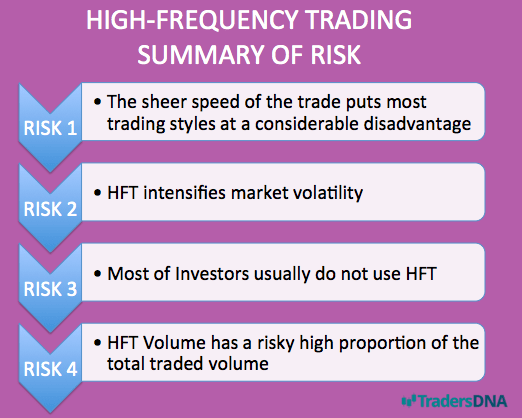 Lower volumes are bad for HFT solely because of the fact the lower the amount of the orders that enter the market, the fewer the opportunities to make a bid/offer. Another problem that isn’t highlighted much is the fact the amount of traders who want to willingly use HFT is dropping. One of the major concerns with HFT today is the fact that it might blow out of proportion in the capital markets, just like what happened at Knight Capital. Companies employing HFT and the HFT vendors have both failed to display a successful effort to manage and control high frequency trading. The only things you need to have are state of the art evaluation and tracking control systems to prevent events like the Flash Crash from happening again. Because if HFT isn’t controlled, the losses could easily keep piling up and then you would need to place a more drastic countermeasure: a ban on HFT, which most traders suggest should happen now. But if you talk about the future and improvements, then taking a drastic step like banning it now could overcomplicate the situation. The science of HFT systems and processors enable the computers to analyze and predict your moves in the market which mean there could be landmines everywhere you look. It is no surprise the framework of modern trading has been forever altered. A human hand that just takes a couple of seconds to conduct a trade now is replaced by a machine which can do the same trade in a millisecond or a microsecond. The fact is HFT can neither be called bad nor can it be called good and that’s the way it’s going to be in the future as well.